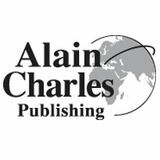 Alain Charles Publishing has been at the very forefront of international publishing for over 40 years. With publications serving half a million readers across four continents, Alain Charles has pioneered business publishing in many areas of the developing world. Essentially Alain Charles publications are conduits, putting buyers in touch with sellers. The developing areas of the world want the latest products, business methods and techniques. Alain Charles publications provide them with a vital showcase to see, enquire and buy the very latest equipment and services.